Hey there crafters. It’s time to shake it up with My Favorite Things and Honey Bee Stamps, So let’s get to shaking. Today’s card was actually created for the MFT sketch challenge. This was suppose to be a simple card, but I had to go ahead and make it difficult. I actually spent few hours making it. I ended up redoing the bear several times because I couldn’t get it to blend the way I wanted it to. The end result was well worth all the time I put into it. The bear is from the MFT set “BB Birthday Bears”. I want it to do a no line coloring so I stamp it out using Memento desert sand ink on to some Neenah solar white cardstock. I colored the cute bear with Spectrum Noir alcohol markers, mostly all TN colors except for the darkest brown was EB8. The yellow polka dotted paper is from my stash of scraps, it was cut using a stitched Banner die. I also cut some smaller stitched Banner die to use on the inside of the card. I cut some scallop borders using light tan Recollections cardstock and Lawn Fawn stitched scalloped border dies. I actually did not like how the light tan looked so instead of wasting the borders I use that dark brown EB8 SN marker to color the borders so they actually accented well with the bear. These borders were also placed on the inside of the card, I really like it when the front and the inside match each other. What about the Shaker, you ask? Shaker cards are so much fun aren’t they? I used a quickutz nesting die to cut the circle frame for the shaker and then used the SN EB8 marker to add a trim color to the frame. I felt like the white stood out just a little bit too much so I decided to use some Winsor and Newton Shimmer medium to make it Sparkle and because it’s a silver Sparkle it toned the white down a little bit while still making it pretty. 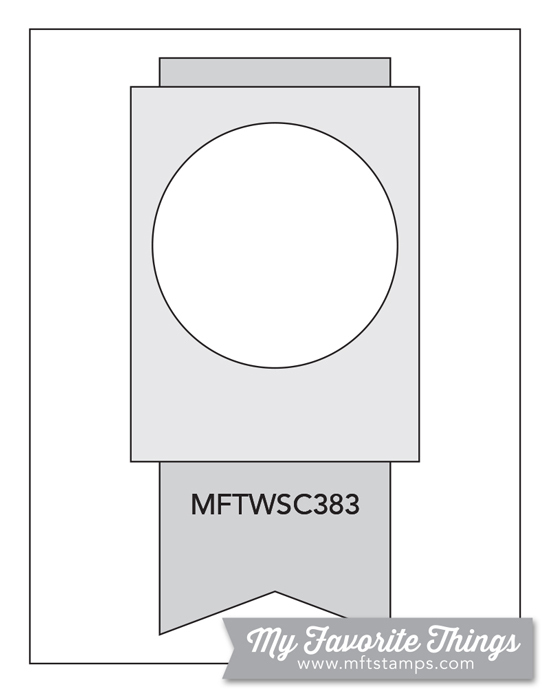 I then cut a circle out of some transparency as well as some tan cardstock. I attached the transparency to the frame with some Ranger Malti Medium Matte and then lined the transparency with some foam tape. I filled the inside with lots of sparkly sequins, microbeads, and chunky glitter. 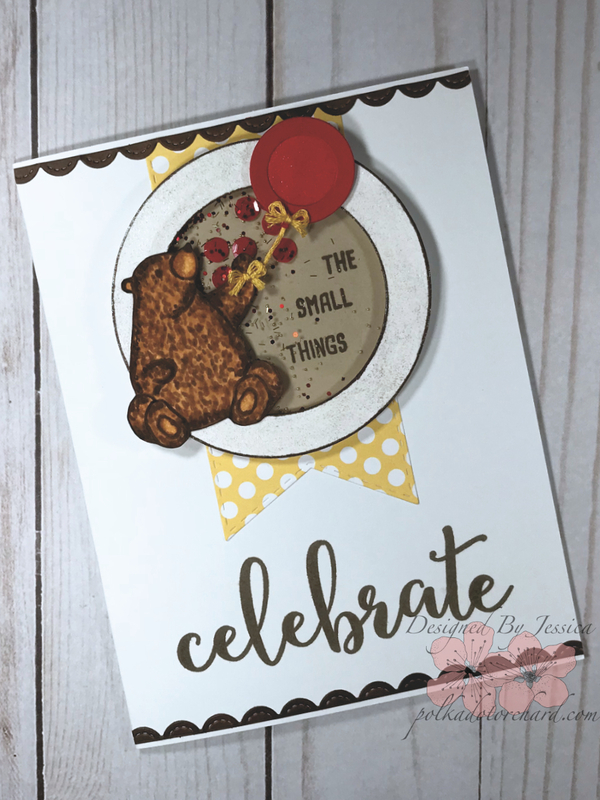 Before attaching the cardstock to the Shaker front panel I stamped it with the words “THE SMALL THINGS” From the honey bee stamp set “Celebration Sentiments”. How awesomely beautiful is that large word celebrate? That is also from the honey bee stamp set “Celebration Sentiments” and I have to tell you I am in love with the stamps. I love how the stamp sets come with nice big words and then lots of little words to Write nice sentiments with. By the way all the words are stamped using my Misti stamping tool and Versafine sepia ink. The balloon was cut with the my Treasured Kutz balloon die, which actually cuts a frame so you can make mini shakers with these balloons but, that wasn’t the look I was going for so I had to cut an additional piece to create a backing for the balloon. For the red cardstock it was actually Neenah solar white cardstock colored with SN CR8 marker before cutting. I didn’t really like how the back piece looked with the frame on top of it so, I decided it needed to have a look with a little bit of dimension. I did this by adding clear Wink of Stella to the back piece. I attach the balloon to the edge of the Shaker with a piece of foam tape and then added yellow embroidery floss for the balloon string. The little bows were also done with the yellow embroidery floss and we’re glued on with a Ranger Malti Medium Matte. My favorite part of the inside of the card is how I layered the banners and tied them together. So, to do that I just attached them at the top with a little adhesive and then wrapped a little embroidery floss holding it in place with a bit of tape. And then finishing it off by tying a bow/knot towards the corner of the embroidery floss. Of course I had to add more of that scalloped stitched border, I’m pretty sure that Lawn Fawn die set is one of favorites. 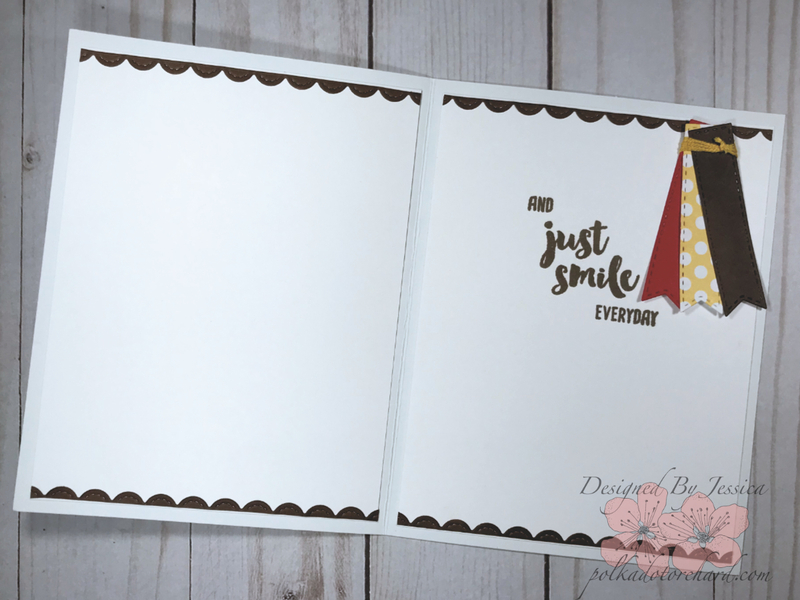 So, the sentiment is actually done with two different sets, both Honey Bee Stamps, “just smile” is from the set called “Beautiful Life” and the word “AND” and “EVERYDAY” are from the “Celebration Sentiments” stamp set. I have really enjoyed using these sets, the possibilities almost seem endless with what you could write. You did such amazing coloring on the bear, Jessica. Love how you painted his hair. I also love how you combined shaker and yellow polka dot paper behind him, which balace the colors. Pretty card and it is definitely worth of time you spent! Thank you for playing with us at Simon Says Stamp Wednesday Challenge. This is a really nice card. So very well done. I like that you took time to decorate the inside.